Hey peeps. I'm starting off 2019 with a new blog. Thank you for all your support here on my blogspot. I've had a .com for over two years now and it was time I moved platforms. You can find me over at WWW.GOTJOYCREATIONS.COM. You can see more inspiration on my new site. I will keep this blog open for past inspiration BUT make sure to follow me on my new site. Today is the Seasons Givings Blog Hop so let's start the year off right. Hey peeps. I'm finishing up some last minute cards for family and friends. 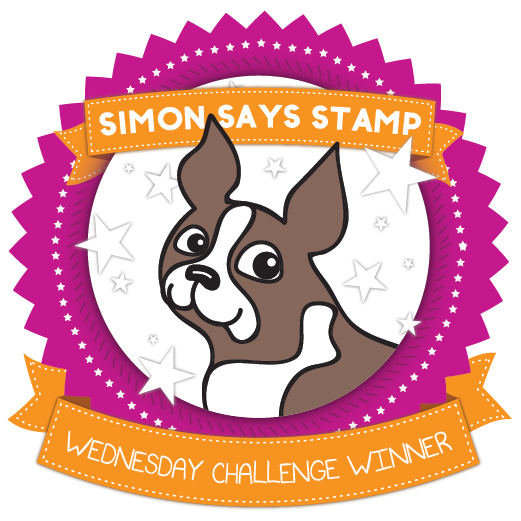 I had purchased a few stamp sets last month from Papertrey Ink and I'm determined to use them before the holiday season is over. 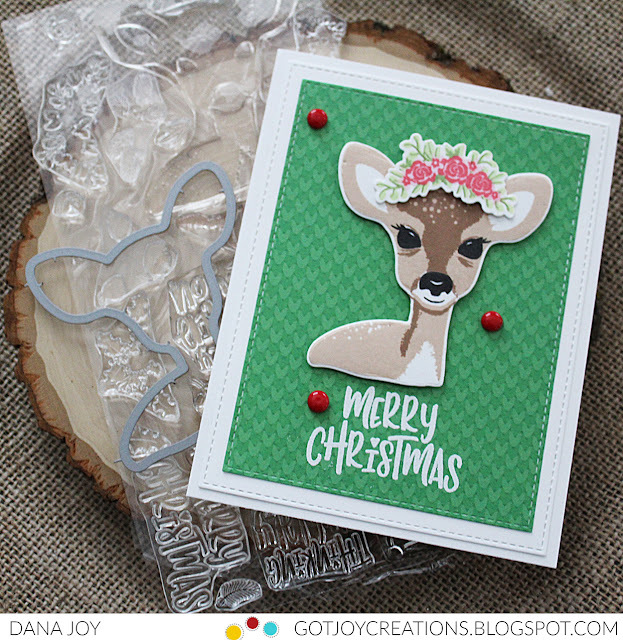 So today I'm sharing the Fawn and Flora stamp and die set. This is such a beautiful deer and it layers amazingly. I used Memento inks in desert sand, new sprout, bamboo leaves, angel pink, ladybug, Lawn Fawn doe ink and Gina K Design amalgam inks. 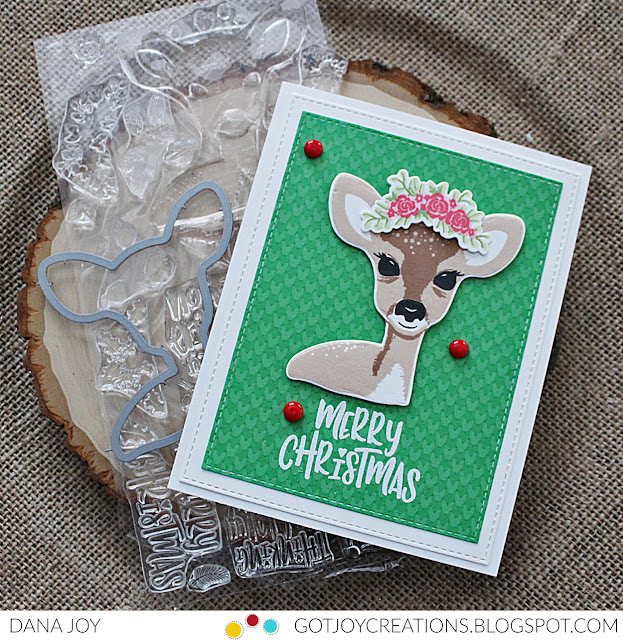 After I die cut out this adorable deer I paired it up with some knit picky pattern paper from Lawn Fawn. I stamped out the sentiment in versa mark ink and used white embossing powder to heat set. Lastly I added some homemade red enamel dots. Thanks for stopping by. I'll see you back here soon! Hey peeps. Happy Saturday. I'm back to share a card using the beautiful Spellbinders Love and Flowers die cut. 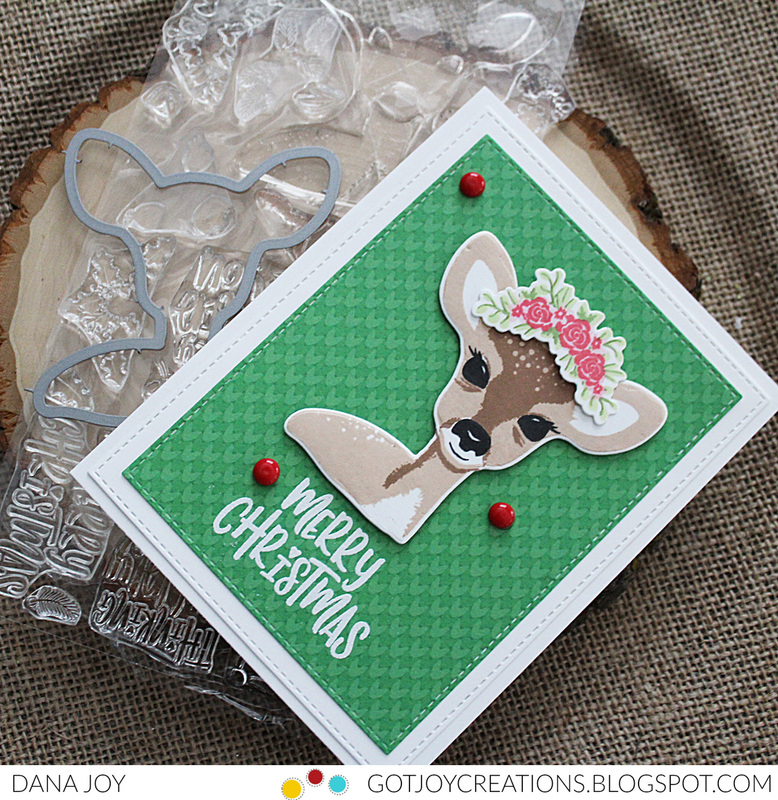 This is such a sweet die cut for any of your occasional cards. It's a striking die that is so easy to use. I die cut this piece several times in black and dark pink cardstock and stacked them on top of each other to create a custom embellishment. I also cut out the heart in gold glitter paper to add it to the center of the flower. I stenciled a brick background with embossing paste and color burst. I love this bright pink and how it pairs with the black silhouette image of this sweet girl and boy. For my sentiment I used one of the dies from my monthly large die cuts subscription from Spellbinders. I again cut out several pieces and finished it off with glitter gold on the top. Keeping this clean and simple with no additional embellishments. 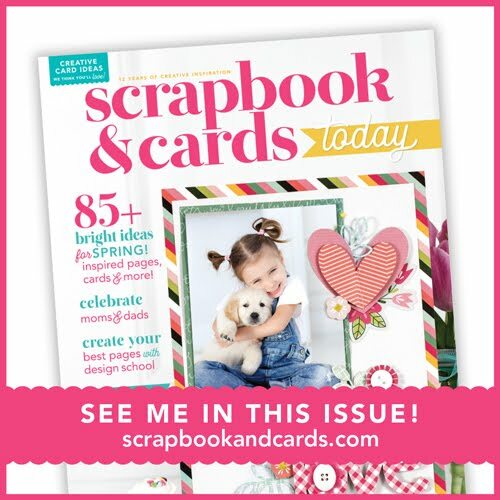 For more inspiration check out Spellbinders Instagram and blog. Thanks for stopping by today. See you back here soon! Hey peeps. I'm really enjoying my time off from blogging and Youtube. I've been catching up on my watercoloring which was a must for me to stay creative. I also am enjoying time with my friends. One of my bestie's Pocono Pam had a party for her grand daughter a week or so ago and it was a unicorn themed birthday party. I mean right up my alley. I just adore Ariah so much and she was the cutest unicorn on her birthday. 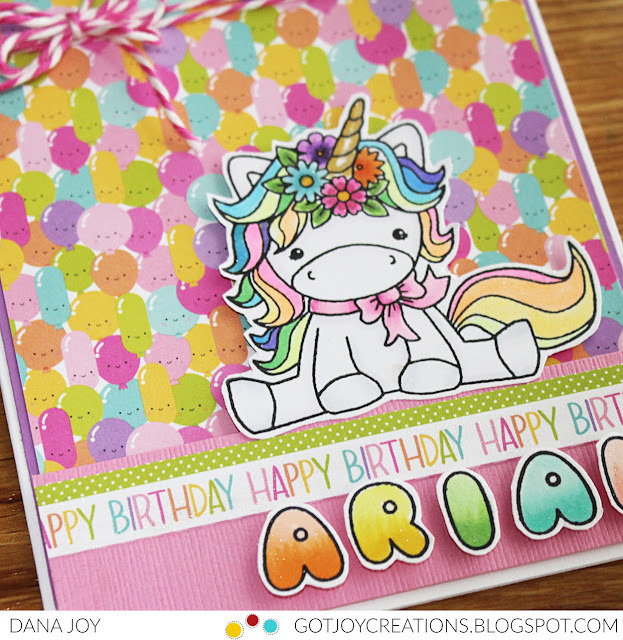 So Titi Dana had to make a unicorn card for the birthday girl. I first pulled out my paper which is from Doodlebug Designs and matched my Copic markers to the colors. I stamped out this adorable unicorn from the Darcie's Heart and Home Drama Llama stamp set. 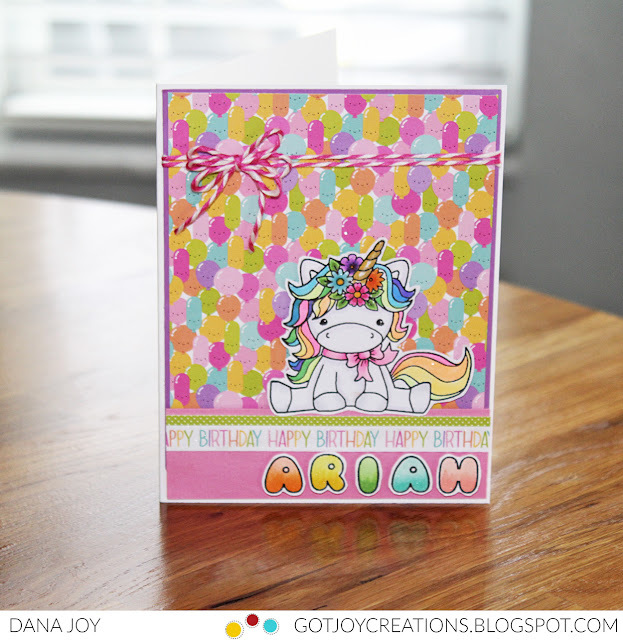 After I had it all colored I pulled out my Phat Alphanumeric stamp set from InkOn3 and stamped out the letters of her name and colored them in ombre colors. 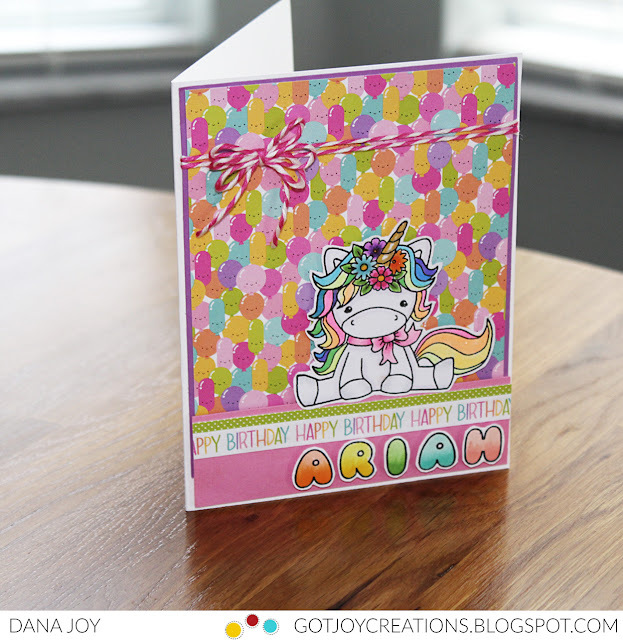 When everything was all colored and complete, I build up my card with a birthday stripe of paper that comes in the paper pad and layered everything onto a card panel. I also grabbed out some baker's twine and made a triple bow for the top of the card. There is lots and lots of shimmer on the unicorn and letters unfortunately the camera can never catch all the sparkle. Thanks for stopping by today. I'm still creating cards while I'm in "relax" mode so I'll be back with more inspiration soon.